The Bible is the most printed and bestselling book of all time for a real reason. Spanning more than 600 years in the writing, it's 66 books were written by 40 authors from all walks of life. It was written in three different languages in multiple countries, all under the inspiration of the Holy Spirit. The Bible comes together with a beautiful union all pointing to the God-Man, Jesus Christ. The Bible has changed multiplied millions of lives, including ours. As Charles Spurgeon said, "The more you read the Bible, and the more you meditate on it, the more you will be astonished by it" yet if you are like me there are times when our heart is as cold as the dead of winter. Yes, the Bible is most fascinating but when we do not read it or read it only to check off another chapter of our reading plan we find ourselves in a daunting and most dangerous place. When this happens remind yourself of the Bible's worth. Inspired by the Holy Spirit we are told that, "For the word of God is living and active, sharper than any two-edged sword, piercing to the division of the soul and the spirit, of joints and of marrow, and discerning the thoughts and intentions of the heart." (Hebrews 4:12) "Is not my word like fire, declares the LORD, and like a hammer that breaks the rock in pieces? "(Jeremiah 23:29) Meditate on these and the many other familiar examples in the Word reminding yourself why keeping the Bible fresh is as essential as food and each moments breath! Then go beyond reading to praying the Word of God for as Psalm 119:103 declares, "How sweet are Your words to my taste, Sweet than honey to my mouth!" Change your reading plan from reading to cover the whole Bible in a year - read slowly and meditate on each verse till the Spirit of God writes it upon your soul. Remind yourself that the goal of reading the Bible is first and foremost to be transformed into the image of Christ. 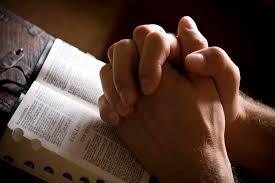 Read, pray and meditate on the Bible, it will change your life from self to the likeness of Jesus Christ.